My AAD Connect service account password needed to be changed recently, which caused some issues. I wasn’t aware of #2, which caused incomplete sync to occur. The symptom was new users from onprem not being added to Azure AD, while existing users and groups we’re not being updated. In addition, my service account got locked out on some occasions, specifically when I forced syncs during troubleshooting. This will run a delta sync of your on-prem AD objects to AAD. Recently I was domain joining a number of machines which had previously been a member of another domain. 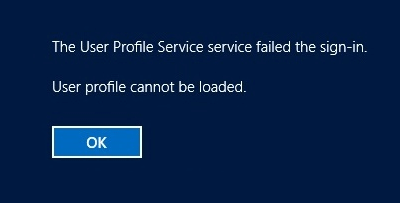 Some of the Windows 10 machines had been upgraded from Windows 7, and this left an issue in the Default profile which cause an error when creating a new profile. This error occured when trying to log in with a domain user. I read a lot of suggested solutions to this issue, many requiring complex forensics into registry, and file analysis on the default and affected profiles. This is the only solution I was able to come up with which in my case had a 100% chance of success. Jobs are a in many ways the key to Powershell multithreading. Having jobs running in the background not only allows you to keep working in your console while your script is silently churning away in the background, but it also lets you run multiple commands or scripts simultaneously executed from console. Whenever you’d like to run a command or a scriptblock without locking up your console, or when you’d like to run multiple commands simultaneously. Jobs are “fire and forget” tasks that you don’t review until they’ve completed or failed. When running basic administration tasks where you’re reviewing output or the result of command continuously, or when working with result sets in variables where you’d like to keep reviewing the current value of the variable. There are two ways of using jobs in Powershell. First of all, many cmdlets have the parameter “-AsJob” to allow them run in the background directly. Alternatively you can use the cmdlet Start-Job to initiate a job with any cmdlet of combination of commands. If you like to find a more complete list, use the following command. Starts a background job to execute one or more Powershell commands. Resume-Job: Resumes a paused job. Wait-Job: Suspends the command prompt until a job is finished, preventing you from making the input.